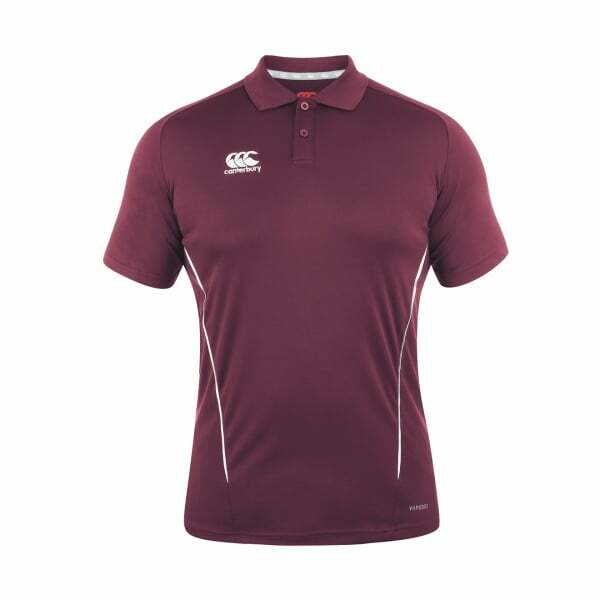 A great example Canterbury’s ground-breaking technical sports apparel, the Team Dry Polo features our own Vapodri high-technology fabric, which is designed to keep you drier, cooler, and more comfortable for longer. Whether you’re working out at the gym or training on the field with mates, the polo’s moisture-wicking, sweat-evaporating features leaves you comfortable and dry while providing full range of movement. With contrast synthetic piping and a ribbed collar with a two-button placket, this polo is designed to help you look great on and off the field, so you can effortlessly transition to everyday life after a training session or simply choose how you want to wear it.